« Hurray! Finally, the Re-installation of Solar Panels on the White House Roof! I simply cannot contain myself when I heard the news! 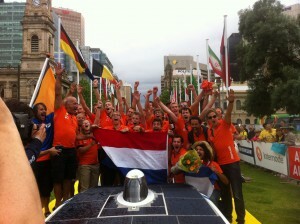 2013 is going to be an amazing year for the World Solar Challenge (WSC)! 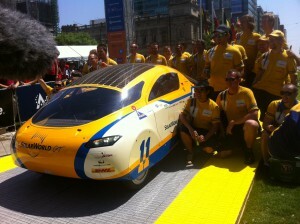 The CEO of the South Australian Motor Sports Board, Mark Warren, announced on World Environment Day, June 5, 2013, not only the new classes and regulations for WSC, but the largest number of entries EVER in the history of World Solar Challenge! 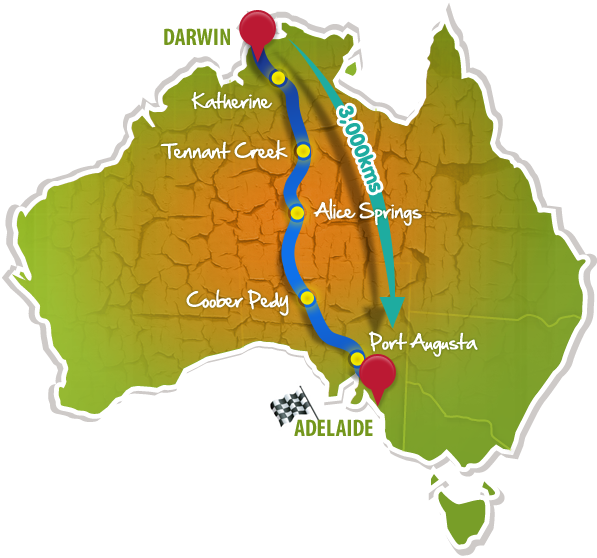 Yes, the new WSC is set to sizzle with the record breaking 43 teams from 24 countries, preparing to take on the Aussie outback in the 3,000 kilometre journey from Darwin to Adelaide between October 6-13, 2013. Challenger Class: The slick, single seat aerodynamic vehicles making up the ‘Challenger class’, will be contested between the mostly big budget, solar powered elite, and line honours will go to the first car to travel 3,000 kilometres in a single stage across Australia under solar power. A major difference this year, however, is that they’ll have to do it on a four wheels, not three. which circumnavigated the globe, teams in this class will be seeking to employ advanced technology and materials to create more traditional road vehicles. The cruisers will have the option of overnight charging at select locations and will be scored according to their energy efficiency and practical design features by a panel of judges. “We threw down the gauntlet asking designers to push the limits of new technology and innovation by creating three new formalized classes. We wanted to ensure our event remained at the forefront of technology driving experienced teams and industry sponsors to exceed past results and at the same time inspire newcomers. Their response has been a resounding, bring it on!” Mr. Warren said. 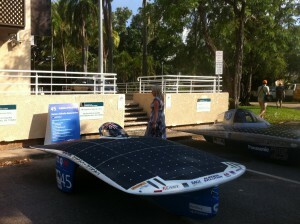 “We now have the makings of our most competitive field ever-in terms of time, speed, energy efficiency and innovation. All our top contenders are back to chase line honors. 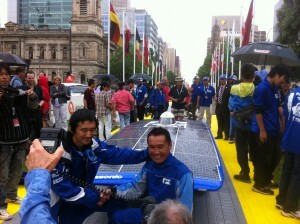 The changes also mean teams in both Challenger and Cruiser classes will be competing in brand new cars.” “Last year’s winners from Tokai University in Japan Tokai Challenger are looking for their third straight victory and former champions, Nuon Solar Team from the Netherlands, who had to be satisfied with second in 2011, are working furiously on Nuna 7, vowing to fight until the finish to get the gold back to Delft University. Of course, there is also the US Solar Champion Michigan team Quantum of University of Michigan still trying to best their third place result,” he said. The event director Chris Selwood commented that this year’s top three are not a foregone conclusion, with all eyes on new countries such as China and returning entrants such as Saudi Arabia. and I’m told first time entrants from the University of Western Sydney don’t put too much stack in history. 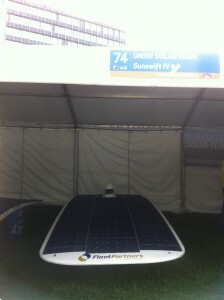 Sunswift from the University NSW are also confident they have the aerodynamic expertise and innovative design to win in their Cruiser category although the TAFE SA team will be doing their best too. so numbered to signify they’ve not missed an event since the Challenge began in 1987. 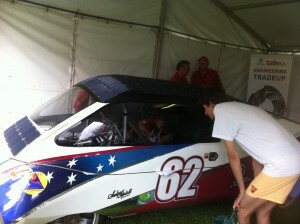 New Queensland team, Arrow, hopes experience from seasoned campaigners will build a legacy for others to follow,” Mr. Selwood said. 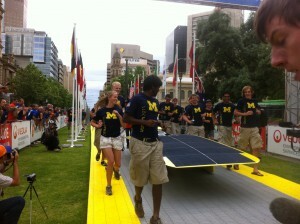 There will be more posts & videos coming every week between now and World Solar Challenge 2013. 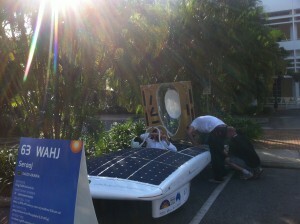 Keep coming back to Sun Is The Future for more on this amazing event! This entry was posted on Sunday, August 18th, 2013 at 1:17 AM	and is filed under Events. You can follow any responses to this entry through the RSS 2.0 feed. You can leave a response, or trackback from your own site.